The iNtouch PF Micro-Textured Latex Surgical Gloves are sterile gloves designed specifically for use during high-risk medical procedures. These gloves offer high levels of dexterity for ease of movement and decreased hand fatigue, and feature a micro-textured surface for greater control and precision. These gloves are provided in a box of 50 pairs of hand-specific gloves. The iNtouch PF Gloves have been designed specifically for use during high-risk procedures, including all surgeries. They can also be used to prepare Total Parenteral Nutrition and to administer chemotherapy and radiological treatments. 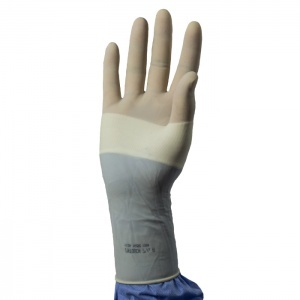 The PF Latex Gloves are available in half sizes from Size 7 - Size 9. Please consult the table below for sizing details, then make your size selection using the drop-down menu above.